Yawuru dancer Tara Gower from Broome, Tiffany Parker from Tiwi islands, Jiawei Zhu from Sydney and Domagee sisters Marsha and Mishayla Buhmann will give participants a taste of movement for health benefits, both physically and spiritually. 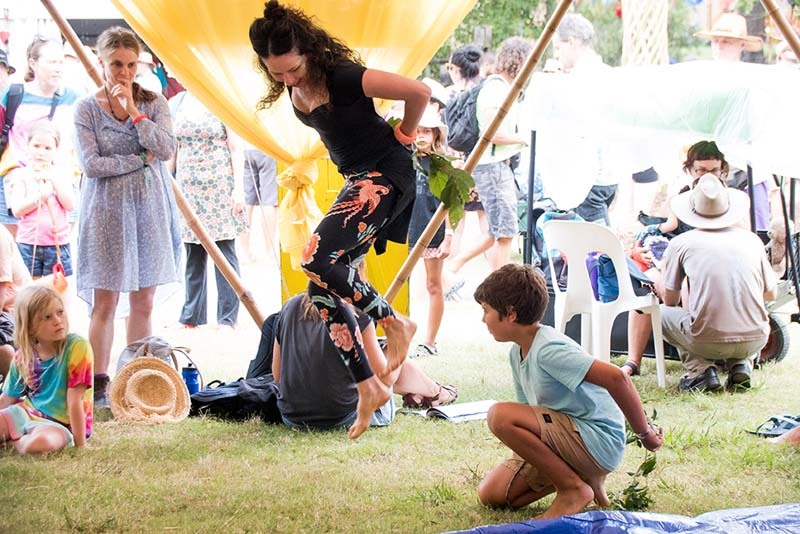 Enjoy Yawuru language and contemporary Indigenous dance with art for kids and Pilates fitness, and contemporary indigenous dance for teenagers and adults. Explore the power of storytelling, art and contemporary indigenous dance from Yawuru country with Tara, Tiffany, Jiawei, Marsha and Mishayla. Nurlu Dance give a taste of movement for health benefits both physically and spiritually by combining contemporary Indigenous dance from Yawuru country, Broome WA - with Pilates. Nurlu Dance Workshops combine contemporary Indigenous dance from Yawuru country (Broome WA) with visual arts and Pilates - in this special session, participants will make either a head band to wear whilst dancing, or learn basket/mat weaving (with an option of two different styles) before the class.